It is an art to appreciate good food and to be on the lookout for greener, or as one would say, tastier pastures. Vijayawada is one city that caters to all genres of foodies and food connoisseurs; from those who like popular fast food dishes to those seeking authentic Andhra or South Indian Food. The city is dotted with all kinds of restaurants, from simple Udupi-style ones to those that offer a fine-dining experience. Restaurants in Vijayawada have transformed over the last couple of years so much so that even the informal eateries are now offering good service along with delectable food, learning from the traditional and fine dining places in the city. Apart from this, several new restaurants in Vijayawada are also creeping up, giving diners an even wider range of choices. The options galore to satiate the gluttony monster inside you and the food served is so exquisite that you wouldn’t even mind the binging. If you are a foodie who prefers to stay on the green side of the table, then Vijayawada has some fabulous places that whip up amazing vegetarians feasts for you. See what we have curated for you in this list. The place is defined by its authentic Andhra food that wows you with its taste and pocket-friendly prices as well. Its pure vegetarian lunch and dinner are popular in Vijayawada for the varieties of powders and pickles served along with homely dal and rice. They have three meal plans, wherein each dish on the menu is served unlimited to the guest in all of these plans. All dishes are made in an authentic way, and eating those your stomach may become full but the heart will keep wanting more. A good idea would be to skip your breakfast if you plan to go for lunch to this place so that you can fully enjoy the sumptuous food. 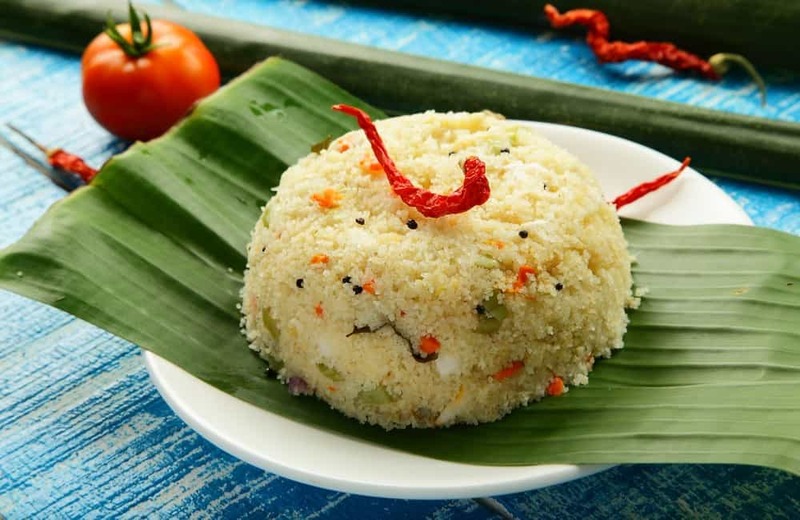 If you are an Idli and Dosa fan, then, this place is a not-to-miss dining spot for you. Serving some of the best idlis and dosas in the city, Babai Hotel has been a favorite breakfast place since 1942. Their iconic ‘Babai Hotel Idly’, which is their own creation, is available at most breakfast joints in Andhra. The melt-in-mouth steaming and fluffy idlis are served in a unique style with two chutneys, sambhar, and kaarapodi. Hot ghee or neyyi is then poured on top of the idlis along with a dollop of butter. This restaurant used to be the favorite hangout breakfast place for celebrities like Sri N.T.Rama Rao, Neelam Sanjiva Reddy, Chandra Mohan, Akkineni Nageswara Rao, and Savitri. Having coffee at Babai Hotel is an experience in itself, with the coffee being served in steel glasses from a tumbler that lends to it an added dimension. Definitely, a place that reflects the culinary flavors of Andhra in its truest sense. Most non-vegetarian restaurants in Vijayawada serve halal meat. These don’t restrict themselves to non–vegetarian delights, having an equally amazing vegetarian section as well. A breathtaking view of the Krishna River and the hills around is what welcomes you when you visit this place. The restaurant is popular not only for its lip-smacking food but also for the impeccable hospitality that accompanies it. You can also visit the place for the lavish breakfast, which has plenty of local Indian dishes. It is definitely a place that redefines luxury dining. The elaborate spread in the buffet here leaves you spoilt for choice with cuisines ranging from South Indian and North Indian to Chinese. Now this one has a name that truly describes the effect that this place has on you after you have tried the food here, which tantalizes your taste buds to no end. It serves an excellent Andhra thali and nothing beats the place when it comes to Vijayawada biryani. If you are looking for some authentic Telugu food, then your search will end here. Sweet Magic has various outlets in Vijayawada with some of them being casual dining only and others having a sweet shop along with the restaurant. The Mysore Pak that you can try at the sweet shop is to die for. They even make their own ice-creams, and you will love the mango flavored one for sure. TFL is one of the top restaurants of Vijayawada that serves great Continental dishes. The place is vegetarian-friendly and even serves vegan food. If you are one of those who are following the Keto Diet, then the place has a menu for you as well. Another reason to get your fill here is that all dishes here are reasonably priced. Dim lighting in the outdoor seating area makes the place inviting in the evenings. Pasta lovers swear by this place for its on-point Italian flavors. Who doesn’t love a good barbeque? Talking of barbeques, you have to talk about Barbeque Nation, which rules the list of the non-vegetarian restaurants in the city. Picture this: live-grill at your table that serves you unlimited delicacies, while the aroma of freshly grilled chicken or paneer wafts through the air. This is what Barbeque Nation is all about. You start with the appetizers which are followed by the well laid-out buffet, and by the time you reach desserts, you wish for a larger tummy and a gigantic appetite to match the stupendous food. Barbeque Nation today is present in almost all major cities of India and the food chain goliath is winning the hearts of people in Vijayawada too. It’s a non-vegetarian or rather a chicken lover’s heaven as the place serves a gamut of chicken dishes. 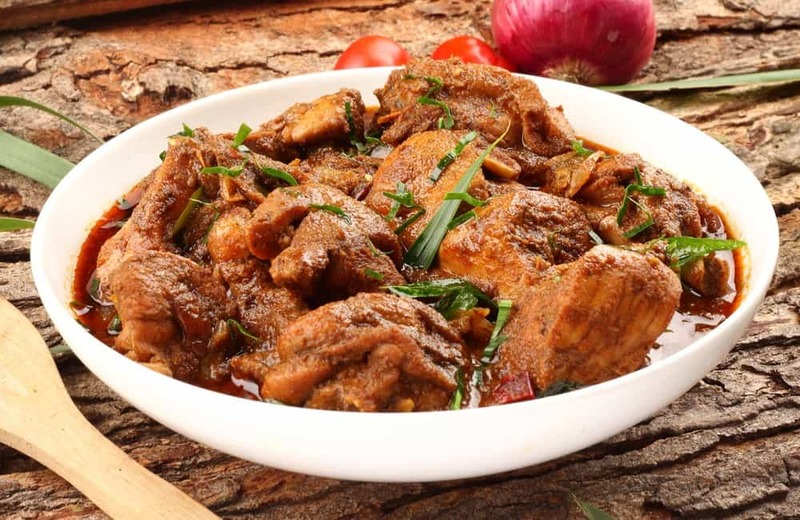 The menu has at over a hundred meaty preparations in the form of kebabs, biryanis, curries and what not. It is the go-to place if you are craving for some Vijayawada Biryani. The ambiance is good, hospitality is great and the food served is excellent, with the place getting brownie points for being easy on your pocket as well. One of the best bakeries in town, Kit-Kat Bakery is housed in an inconspicuous eight by six feet shop. Its uniqueness? It serves only two items, Masala Burger and Bread Omelet. 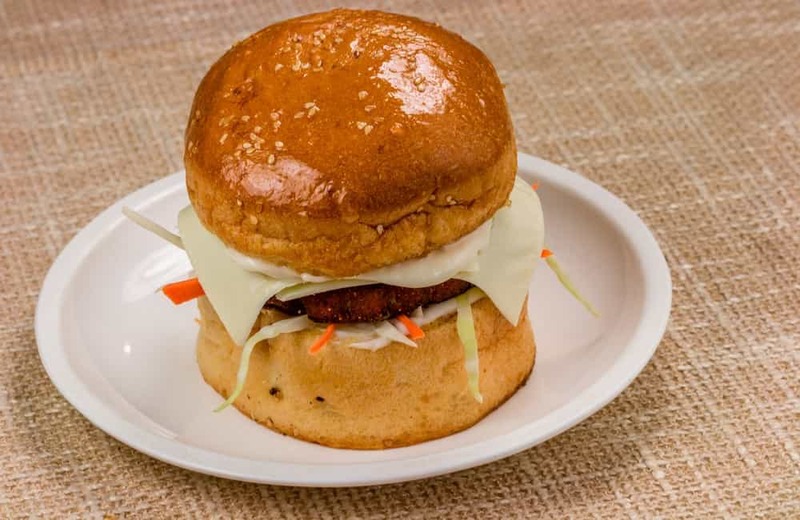 For the last thirty years, the shop has doled out burger after burger, unfazed by the swanky eating joints that have cropped up in the city. If you reach a corner in Vijayawada that looks like the busiest in the city, then you have most probably reached Shahana’s Juice Point. Excellent service, great juice and a server who is the favorite of regulars are what makes this juice station a landmark eatery of the city. You can also try the elaborate menu, offering sixty five varieties of dosas, at the Lenin Centre Dosa Camp, and while here, do not miss their 70 mm dosa, carrot dosa and cone dosa. Then there is Rasoie on Bandar Road, which serves one of the best Ulavacharu Biryani in Vijayawada. You can even go for the mind-boggling Lassi by Milap, which is located right behind the railway station. As the city is not too large, you can easily reach these restaurants, regardless of which hotel in Vijayawada you are staying at.